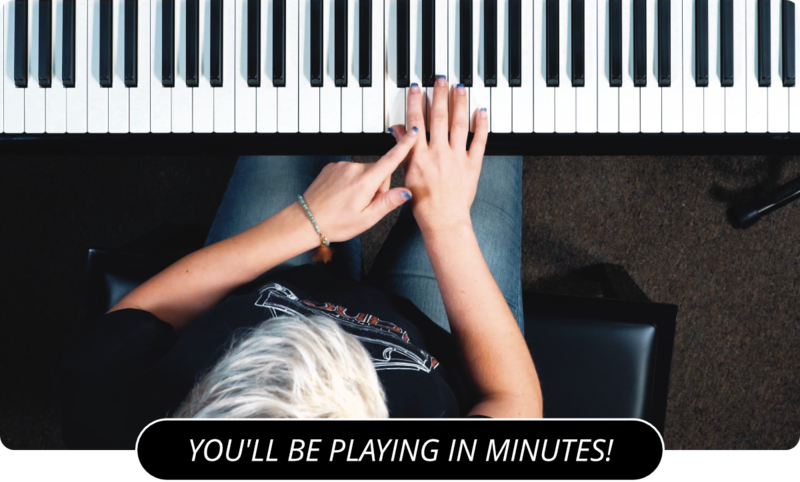 Learn How To Play The Ionian Mode On The Piano! Now I want to talk to you about modes of scales. For every scale there are a number of different modes that you can play it in. The simplest is the first mode, called the Ionian mode, and that is the one we are going to start with. I'm going to start with C major as an example. Since it is the first mode, the Ionian mode simply plays the scale starting with the first note, in our case C. That's right, to play the C major scale in the Ionian mode, you simply have to play the scale as you've memorized it. The chord that we make from the Ionian mode is the major seventh chord. If you take the first note, third note, fifth note, and seventh note of the Ionian mode, you end up with the major seventh chord. For the C major scale that is the notes C E G B. The Ionian modes, and modes in general, aren't limited to the C major scale. If we take the G mjaor scale, G A B C D E F# G, and take the first, third, fifth and seventh notes of the Ionian mode (which is the same as the scale itself), we get G B D F#. Those notes make up the G major seventh chord. Since the first mode is the same as the scale itself, you may be having a hard time understanding the concept. Don't worry, I'm going to teach you all of the modes and things should become a little clearer as you follow along. For the next lesson, you can review the Locrian Piano Mode .